Is This The Future Of Reading? 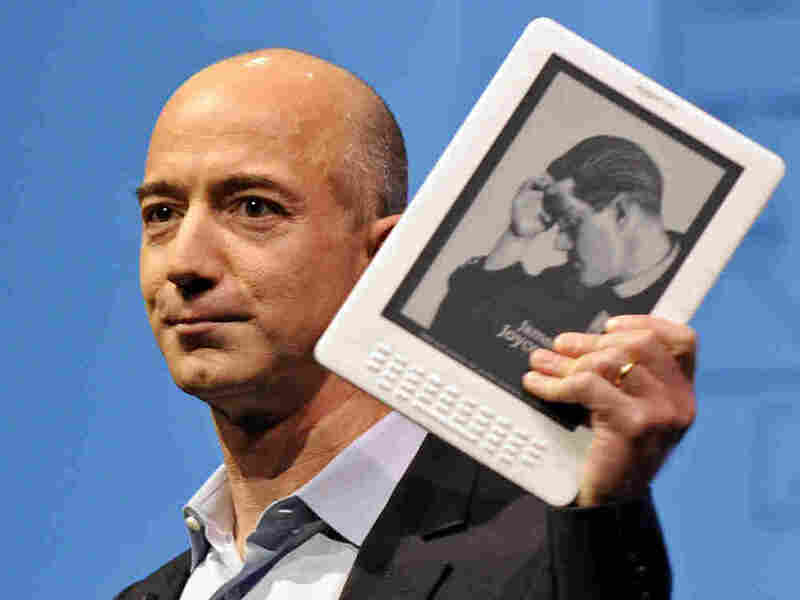 : Blog Of The Nation Is the Amazon Kindle really the future of reading? Nicholson Baker hopes not. I first saw -- and held and used -- an Amazon Kindle three or four months ago. One of my friends, visiting from San Francisco, had the "wireless reading device" in his messenger bag. Immediately, I was impressed with its thinness, its lightness, and its speed, but I didn't covet it. A few weeks later, at a backyard dinner party, a professor -- with a few books under his belt -- complained about the Kindle. Everyone joined in: "On the subway, I can't see what other commuters are reading!" "It can't be as satisfying as a real book!" "Will I get the same royalties?!" In the most-recent issue of The New Yorker, which I read -- in the real, paper edition -- on the Metro this morning, Nicholson Baker reviews the Kindle 2. It is a great essay, in which he asks, "Can the Kindle really improve on the book?" The problem was not that the screen was in black-and-white; if it had really been black-and-white, that would have been fine. The problem was that the screen was gray. And it wasn't just gray; it was a greenish, sickly gray. A postmortem gray. The resizable typeface, Monotype Caecilia, appeared as a darker gray. Dark gray on paler greenish gray was the palette of the Amazon Kindle. I am sure there is plenty of disagreement about his assessment. (I can hear the cries of "neo-Luddite!" already.) Have you used one of the devices? What do you think?